Design the best holiday with a variety of exciting tour programs in your lifestyle adventure around Phuket Island. Stimulate yourself with Phuket Man Tour, a tour service center in Phuket. 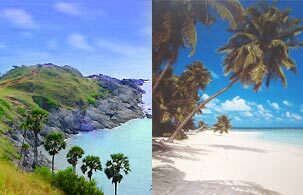 Phuket Man Tour provides hotel reservation service to all guests that will bring you to the most comfortable relaxation in a place which is fully furnished amenities. Touch an ideal space of perfect holiday and lay back down from the tiredness. Moreover, you can take tour information, daily tour, a quality car rental and airport transfer service at Phuket Man Tour that you can save time on the convenient transportation in Phuket. We offer motorbike, car and van to be your finest selection. Our airport transfer consists of minibus and saloon car which will send you to your destination with safety. Local products and Phuket souvenirs shopping such as cashew nuts, pearls, gems and other more.